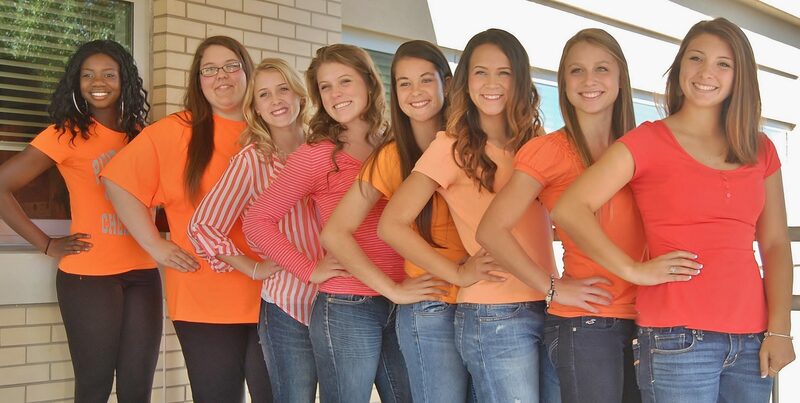 Eight Penn Manor High School seniors have been named to the Homecoming Court for 2013. The queen and an alternate will be named at halftime of the Comets homecoming football game against McCaskey Oct. 4. 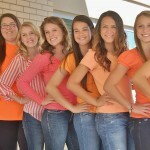 Members of the court are, from left: Taylor Jones, Katie Myers, Alisa Herr, Jenn Adams, Desiree Landis, Victoria Valentin, Olivia Minnick and Addy Zuzu. In honor of Greg Frey, the students all are wearing orange. Congrats, and best of luck!